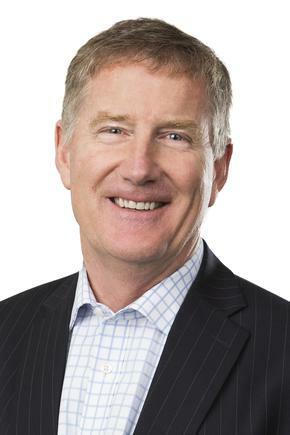 Seasoned business leader, Stephen Porges, has been named CEO of The Australian Alliance for Data Leadership (AADL), a move aimed at enabling Australian businesses and the economy through data leadership, advocacy and governance. AADL is a network of associations with the common thread of data and customer experience, representing the essential functions of data-driven business. Associations within the AADL network associations include: Association for Data-driven Marketing & Advertising (ADMA), Institute for Analytics Professionals Australia (IAPA), Data Governance Australia (DGA); and Digital + Technology Collective. Porges brings CEO skills gained at Aussie Home Loans, Newcastle Permanent Building Society and SAI Global, and from board, founder and executive director roles throughout many sectors and geographies. He currently sits on a number of boards and has considerable public and private sector expertise, and has been instrumental in successful data-driven businesses. “It’s a unique time across all industries as businesses see a continued increase in customer expectations alongside the exponential growth in data," AADL chairman, Steve Brennen, said in a statement. "The pace of change is set to accelerate, and the strongest talent is required to bring the necessary leadership required to help our members manage the challenges today and ahead. We’re fortunate to gain a CEO with Stephen's deep corporate experience, gravitas and dynamic vision. Porges' appointment follows the departure of ADMA CEO and inaugural chief of the AADL, Jodie Sangster, after seven years at the helm. With more than 30 years of professional experience domestically and internationally, Porges has worked in high-growth and mature corporate environments and boasts of a track record in building, motivating and leading senior management teams across finance, technology, real estate, digital and traditional media and scientific environments. AADL said he brings a strong understanding of the machinations of the c-suite, government and the requirements for risk management - attributes key to the role that the umbrella association plays in the industry. Porges said he’s incredibly excited to be spearheading efforts to empower businesses using data in all its various aspects. “Data collection, governance, analysis and use is so critical; however they are typically viewed in a piecemeal fashion. Our network of associations with excellence in each of their fields, bringing all aspects of data together, provides incredible value to members. This model is unique globally, and with the future being increasingly data-driven, we are thrilled to be leading the way,” he said in a statement.